Managing children’s behaviour is often one of the most challenging things primary language teachers face, and at the same time one of the most important. It also links closely to everything that has been said about affect in the previous post. If we succeed in managing children’s behaviour in a positive way, everything else falls into place and children will learn, no matter what methodology or approach we use. If not, our lessons fall apart and very little or even no learning will take place, and we probably feel stressed out and exhausted too. There are no easy answers, many complex variables, and it’s almost always easier said than done. However, there are many things we can do to be pro-active in planning and preparing how we are going to manage children’s behaviour, and anticipating any likely problems in advance. 1 Plan carefully balanced, varied sequences which are purposeful, relevant, meaningful and present an appropriate degree of challenge for the children. 2	Pay special attention to the beginnings and ends of lessons, transitions between activities and feedback stages – often the most common moments for behaviour problems to occur. 3	As far as possible, make activities intrinsically motivating and enjoyable. 5	Be sensitive to the way children respond to activities. Be ready to change the pace – and the activity, if necessary. 6	Vary seating arrangements regularly – use different criteria for forming pairs and groups depending on the activity e.g. friendship, ability, fast or slow finishers, random, age, boys, girls. 7	Make sure every child knows what they are supposed to be doing and how to do it through clear instructions, demonstrations, modelling, rehearsal etc..
8 Look for and show approval of appropriate behaviour – Catch them Being Good (CBG), rather than constantly telling children off. 10	Value the children and their work positively (Success breeds success … and cooperation). 11	Be supportive of problems. Give as much help as needed but not more. 12	Listen actively to what children have to say (but don’t let them interrupt your flow). Postpone till later but don’t then forget. 13 Have a clear signal for getting children’s attention and stopping activities e.g. gesture, tambourine, little bell or stand in a special place. 15	Maintain lots of eye contact – and use eye contact if necessary to help you manage behaviour. 16	Don’t be afraid of silence or noise (reflect on the reasons for either before leaping in). 17 Keep your voice quiet and calm as the norm if possible. Use your voice to maintain children’s interest and attention by varying the tone, pitch, speed, intonation, volume as appropriate. 18	Be aware of the messages of your body language – are you coming across as lacking in confidence, impatient, hostile, bored or uninterested? 19 Stand at the front of the class when giving key instructions or explanations but don’t always stand or sit in the same position the rest of the time – vary your “arc of scan”. 20	Develop eyes in the back of your head – to spot the minute help is needed and to stop any trouble developing. 21	Be consistent and fair in your actions and behaviour. Always do what you say you’ll do and never make empty threats. 22	Establish or negotiate a class behaviour contract, if appropriate, depending on the age of the children – and keep to it. 23	Monitor children as they work – but don’t overdo it! Give them space to show how independent and responsible they can be. 25	Have high expectations of children’s behaviour and potential to achieve – they will invariably live up to these! What strategies do you use to manage children’s behaviour in a positive way? It would be great to hear! ** I learnt the “waiting game” years ago on a course on group dynamics. Essentially you wait, with open body language and neutral facial expression, and what usually happens (although no guarantee!) is that one child notices and does your classroom management for you by telling the others to hush. Hi Carol, another great post! Thank you. I have to confess that while I can’t disagree with a single word in your 25 points, I think sometimes a ‘general rule’ is a useful aid to memory. I try to remember to ask myself the following question before I respond to challending behaviour: ‘Is what I am about to say or do likely to move me closer to or further away from this person?’ I’ve found that very useful over the years in defusing some potentially difficult classroom (and other!) situations. Hi Chris, many thanks for your positive comment and for making this really valuable point about pausing to think before you act when responding to challenging behaviour. The question you suggest sounds an extremely useful one in being able to defuse the situation without destroying your relationship with the person involved. In classrooms with children, conveying that it’s the behaviour we don’t like rather than the child is so important so many thanks for raising that. I have to say that I forsee one problem with your blog – there are so many interesting postings to read that none of us will have any time left to teach!!! Thanks so much for this blog. I am about to send it to the teachers here at the British Council Paris and I’m sure they’ll appreciate all your pearls of wisdom. I love the idea of CBG. I used a big dose of it last night (not knowing it had a name!!) with a seven year old and it worked wonders. You’re right that children respond extremely well when they are praised as opposed to being repeatedly told off for the same thing. Looking forward to the rest of the alphabet – although I’m sad that storybooks begin with an ‘s’! So long to wait!!! What a wonderful list Carol. Thank you! It’s rare but some groups, no matter what you do are just ‘really difficult’. I’ve not had one like this for a while, but one of the things I did, which was really useful and helped, though not always, was to take yr nº 7 ‘Make sure every child knows what they are supposed to be doing and how to do it through clear instructions, demonstrations, modelling, rehearsal etc..’ How did I do it? When we had completed the activity, I’d tick it. And the children would see visually that we were moving onto something else. We wouldn’t always finish our list but I would explain why we would have to omit something and be honest with them if it was due to their behaviour in completing a task. At the beginning I was over ambitious, but over time I managed to gauge pretty well what they really could do. As we progressed they began to calm down and we had more better days than bad ones! We even had days where they helped me with that initial list and we would discuss what we could do and I would explain why a particular activity was important. These explanations were in the children’s L1, but they got a grasp of the reason for many activities which also helped their behaviour. There are no hard and fast rules for anything as each group is different, but your list of 25 strategies is an excellent way of keeping problems at bay. I am glad that you mention voice in B no 17. So much of all our work with young learners depends on how we use our voice. It is through our voice that young beginners pick-up English. Perhaps we don’t realize this until a bad cold prevents us from speaking normally and projecting our voice. Teacher Training used to include sessions on breathing properly and learning how to modulate voice in varied registers for different skills and situations. and a recently published book, (which has been well reviewed and I plan to read) Breath in Action co-authored by Jane Boston, a senior voice practioner at RADA. I think the key word here is ‘pre-empt’. All your advice is very useful to ensure that the teacher maintains a happy class in a positive learning environment. A teacher’s presence in the class is also very important. Even though we can’t avoid misbehaviour completely, we can contain it and ensure that the children know who the ‘boss’ is – see n° 24. I’ve had a situation where a student’s answer to my question ‘Why did you misbehave so badly this year’ was simply ‘Because I could’. This 10-year-old discovered the teacher’s weak point, i.e.not projecting confidence, and didn’t let go. Looking forward to the letter ‘C’. You are absolutely right that behaviour issues are often the most challenging aspect of teaching children and teenagers. points 9 and 10: I often notice in observations that teachers praise the children, their work, their effort but very often they forget to praise their use of English! Their English skills are often remarkable. 21 is my mantra too. Children immediately pick up on anything they perceive as ‘unfair’. First of all, what a beautiful blog. I love the photo of hot air balloons you have chosen. I listened to your MacMillan seminar and was very happy to be reminded of your points here on your blog! I have two difficult classes this year – the boys just won’t stop talking. One in particular, the boys are really nasty to each other or to other kids. I would really like to throw some of them out of the classroom, but I am pretty sure they might actually like that (and cause too much noise in the hallway for the other classes)! Our school year finishes in March. Is it too late to re-negotiate our learning/behaviour contract? Would it be stepping on their regular teacher’s toes too much? (I only teach them twice a month.) How should I go about this? I thought that Sandie’s idea of posting a list of what we are going to do on the board would be helpful, so they could see the progression, and re-thinking when we are planning to allow more movement and one-on-one conversation activities would also be helpful. Very timely post for me and looking forward to receiving more great blog posts from you!! Thank you for these rich contributions – it’s fascinating to know the different ways my list of strategies resonated with you. Jo – many thanks for your kind comments and will be great to see colleagues and friends from BC Paris here, if time allows! Glad that CBG works for you too! Will also be brilliant to have input from you and the storyseeds when we get on to stories and will add a link to your lovely website too http://www.thestoryseeds.com/. Sandie – thank you for this simple but wonderfully effective idea of having a ‘to do’ / ‘have done’ list on the board and describing your experience of how it works. A lovely potential link here to ‘L for Learning to learn’ too! Opal – I couldn’t agree with you more about the importance of voice. Many thanks for highlighting this and giving these helpful references. Alan Maley’s book The Language Teacher’s Voice (Macmillan) is another one that’s also useful in this area. 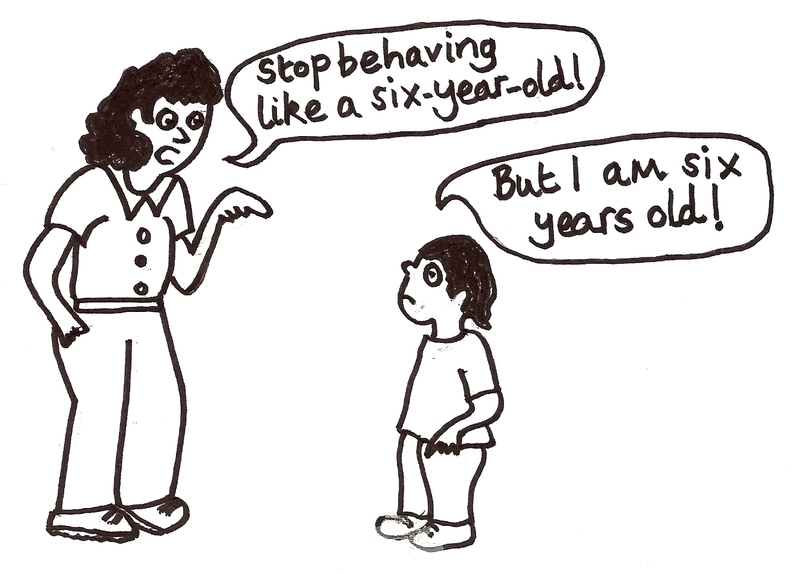 Nayr – What a great example of a child’s reason for behaving badly, and it also neatly demonstrates the importance of always setting clear parameters for behaviour. I completely agree about ‘pre-empt’ being key – if we can be pro-active rather than reactive, it makes our lives and the children’s lives a lot easier and happier as well. Kay – thanks very much for pointing out the need to remember to praise for use of English and for highlighting the importance of acting fairly as it can become a real source of resentment, anxiety and ‘block to learning’ if children feel on the receiving end of treatment which is inconsistent and/or unfair. Alison – so glad you like the blog and the balloons! I know just what you mean about the difficult children you describe. I used to have a class the same and felt guilty at the relief I felt on the days when the difficult children didn’t come. A strategy that helped was to make a deal with the class about the kinds of activities we did linked to behaviour – this meant the disruptive children came under peer pressure to behave appropriately in order to do the things everyone wanted to do. I think Sandie’s idea would be great to try – and do share how it goes. It’s harder to know whether it will be worth the time and effort re-negotiating a behaviour contract if you’re only seeing the class twice a month and the academic year finishes in March. As a general rule, if you’re only seeing the class occasionally, it tends to work best if you can find out the rules and norms of the regular teacher and adopt these in your English lessons too (as long as they don’t include anything that you seriously don’t agree with), as children will more readily accept ways of doing things that they are already familiar with and you can build on this. Hope this helps a bit. This is a wonderful blog! I will be sending it on and recommending it to many teachers! I am happy that you included #6! In Japan the Homeroom teachers regularly adjust seating and the difference it makes is incredible! Children who were naughty next to one child become participators and positive instigators next to others. In large classes this is such an important point, and can really make one change their mind about a “bad” student. I have also found it useful to replace “No…” or “Don’t…” with the word representing the desired behavior. For example, if I want them to walk instead of run, I don’t say, “Stop running.” I say, “Walk, please.” Immediate results! Since we often visual actions, using the word to represent the exact action we would like to see can be faster than saying the opposite. I also think that counting down can help students to transition. While I try to be planned, and well organized, I sometimes loose my train of thought, or misplace a CD, or worse yet, have a CD player that suddenly stops working! Students will naturally talk while I sort myself out, but when it is time to focus again, instead of saying Shhhh loudly, I just count down, giving students a moment to settle themselves. Once I hit 1, if someone is still talking ** happens! I love those little classroom managers! I look forward to reading more! Thank you for opening up more discussion! What a great way for us to reflect and share! It’s very interesting to hear your experience about what a difference changing the seating can make in your context in Japan, Catherine, and I really like the point you make that it can change our perception of the students as well. Thank you also for raising the importance of couching rules and instructions positively in terms of ‘Do’s rather than ‘Don’t’s – as you say, if a child hears e.g. ‘Don’t shout’ it’s the first thing they think of doing and an alternative such as ‘Speak quietly’ is likely to work to much better effect. The countdown idea is also great and gives children time to think about getting ready to settle which is important too. Joseph – I completely understand what you’re saying – and have been there too! I think lunchtime classes are possibly one of the most difficult as children feel it’s not ‘real’ school time and therefore the normal rules of behaviour don’t apply. They’ve also got loads of pent up energy either from the morning lessons – or from lunch, if they come to you directly after they’ve eaten. One thing is to try and start your lessons off with as much impact as possible and make the most of the first 10-15 minutes or so when you’ve got their attention, and then do more individualised activities which allow for those who are keen to get on, and try and give these children your attention and not focus too much on the others. Building on Sandie’s idea, after your initial input, you could have the children move round the class doing the different activities listed on the board at different tables – this sometimes appeals to more active children and motivates them to get through the list as fast as they can. You could perhaps also try Catherine’s count down idea for getting their attention too! Anyone got more ideas ? Hi again Joseph – it may also be worth having a ‘heart to heart’ with the children in their own language (if you also speak this) at some point – why are we here, what would you like to learn about (a list topics for them to choose from), what activities do you like doing, what’s in it for you – as this can help change attitudes and is something that six-year-olds can take quite seriously, especially when they’re also getting messages about the value of learning English from their parents and carers at home. 1-Give parents a copy of the discipline plan to be used in your classroom (“Classroom Rules”, “If You Choose to Break a Rule” & “Rewards”). It is really important that we communicate and work cooperatively with students´homes. – What´s causing the problem? – What plan will you use to solve the problem ? Finally, students sign the action plan. – It is much better to teach problem solving, responsibility, and self-discipline than to yell or scream. – When you work with an action plan, you are dicussing the action plan and the behaviour. You are not dealing with the person. Therefore, you leave the student´s dignity intact. And what´s more, this system not only works but also TEACHES the student problem solving, responsibility, and self-discipline. Many thanks for your great contribution and for raising these invaluable points. Thanks very much also for outlining this approach to action plans for behaviour and the role these can play in promoting responsibility and self-control without taking away the child’s dignity. This is so important in maintaining positive relationships and the child’s sense of choice and ‘ownership’ in how they behave too i.e. it’s their decision and no-one’s compelling them. Thank you for dedicating a blog to young learners. It was long overdue and I am glad it was you that started one. B for behaviour and your 25 strategies are sure to help your readers immensely. I couldn’t agree more with you when you say “if you succeed in managing children’s behaviour in a positive way,everything else falls into place”. As a teacher and teacher educator I have struggled with this and I have therefore given it considerable thought. I recently wrote a monograph and a presentation for Pearson Longman Latin America which I called ‘Your classroom, Your learners, Yourself, Connected!’ (another useful C for you?). To clarify the various elements that teachers need to attend to in order to make a positive connection with their learners, I created what I call the “Classroom Management Diamond” a diagram in the shape of a diamond with five main facets to it: Content, Space, Time, Procedures and unquestionably the most important one, Relationships. I then outlined practical ways to build trust and cooperation, manage space so as to guide and surpise the learners, manage time to make it fly rather than drag, manage content to make it not merely relevant but especially captivating and to institute classroom procedures such as rituals and routines to either harness or boost the children’s energy. Your twenty five strategies would nicely relate to any of the five facets of my diamond. I will most certainly quote you in future talks and workshops. A book I read a while ago but which still seems very relevant to those who would like to explore the topic in more depth is: Charles, C.M. (2000). The Synergetic Classroom: Joyful Teaching and Gentle Discipline. Pearson Longman, White Plains, New York. Thanks again for sharing such valuable insights with us. I look forward to future posts. Thanks very much for joining in and for your great contribution! I love the ‘connected’ idea and will definitely include this aspect under ‘Connections’ in the C-Wheel from now on. I completely agree that the way in which your five main facets, Content, Time, Space, Procedures and Relationships interrelate is crucial in managing children in a positive way. Your ‘Classroom Management Diamond’ sounds a very useful and memorable way of showing this. I’m very glad also that you’ve mentioned Time and Space which I personally always find have an added role and importance when managing really little ones aged 3-5. Many thanks also for sharing the reference which looks extremely worthwhile and look forward to your input on other topics as they come up. I watched the your Macmillan webinar on Managing Children Positively the other day – excellent! So clear with loads of practical examples and I liked the way you presented techniques on a type of ‘cline’ so teachers can see the differences and rationales for using them. I loved the way you opened and closed with the Frank McCourt anecdote, I’ve read that book and so could relate. I also really like the very concrete tips and techniques you provide in this blog posting as this provides very real strategies for teachers to try out immediately. Many thanks for this. I’m really glad you found the webinar useful – and also that you enjoyed the ‘flying sandwich’ anecdote from Frank McCourt! The only thing I forgot to say in the webinar was that the sandwich was wrapped in foil – so it was ok to pick it up and eat it from the floor! Great to know also that you think the 25 tips and techniques will provide ‘real strategies for teachers to try out immediately’. That was certainly my hope! Dear Carol, your posts have done my job as an EFL children’s teacher so much easier and enjoyable, thank you so much for sharing your wonderful knowledge with us, I came across to a post you did on using puppets in the classroom and it turned out to be the solution to a lot of classroom management problems I was facing with very young children. I’m your biggest fan since then!